Happy New Year! 2019 Gala information to come. 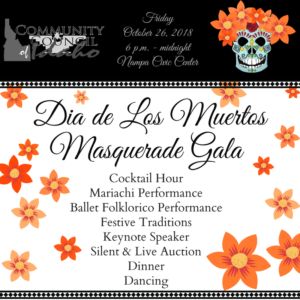 We would like to thank our community and our supporters for another fantastic showing at this years gala – Dia de Los Muertos. We raised nearly $15,000 to aid our legal immigration program – Familias Unidas! Familias Unidas is in its second year of operations and has already done so much to help the community it serves. Please click here to learn more about this program. None of this would be possible without your support and that of our donors. Please take a look at all of our major donors from 2018. They are all truly a blessing. 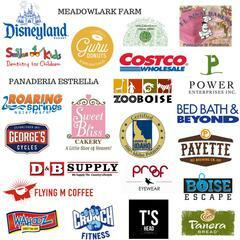 We would like to thank this wonderful community for supporting CC Idaho during last year’s event! With youe help, we raised nearly $25,000! Your support shows us that this cause is important to our community. We have a commitment to help those in need, and thanks to your support, we’re able to reach more individuals and families. The 2017 gala benefitted CC Idaho’s brand new Immigration Legal Services, Familias Unidas (ILS). We are thrilled to extend our services to those who need it most. Beginning NOW, community members may stop by our office to receive legal aid. None of this would have been possible without the help of our generous donors. 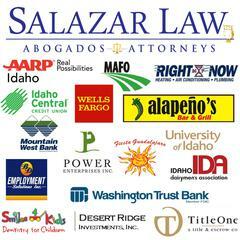 We would like to give a special thank you to Salazar Law for being our major donor of $2,000! Your generous gift goes a long way! Please take a look at all of our major donors from 2017. We appreciate your generosity! We would also like to thank those who contributed a donation to our auction. Please take a look below at all of the local companies that gave to our event in 2017.